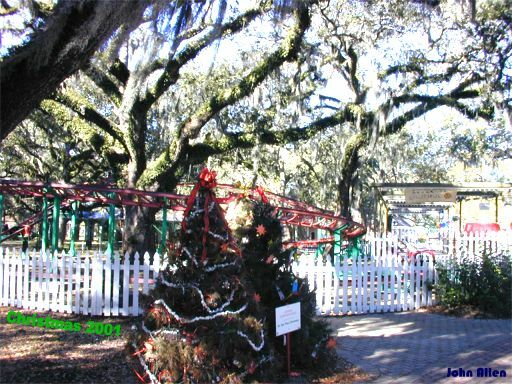 Click for: Map/Diagram of the former rides at Pontchartrain Beach Amusement Park, compliments of Benny Grunch & the Southern Yat Club. 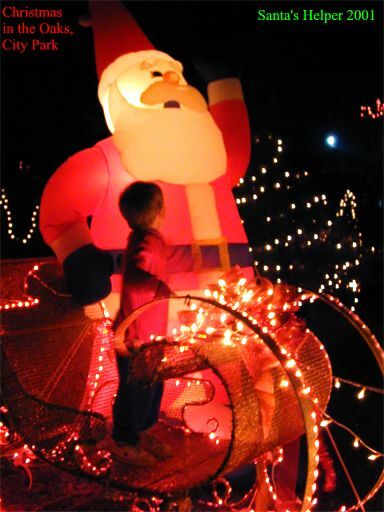 Below is a Zephyr construction photo believed to date to 1937-38. 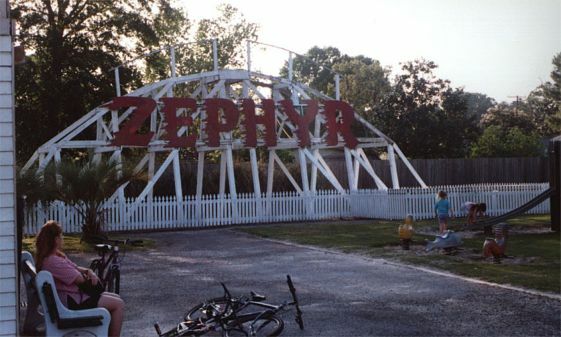 The Zephyr Lift Hilltop, as it is today, relocated to Kenner, LA. 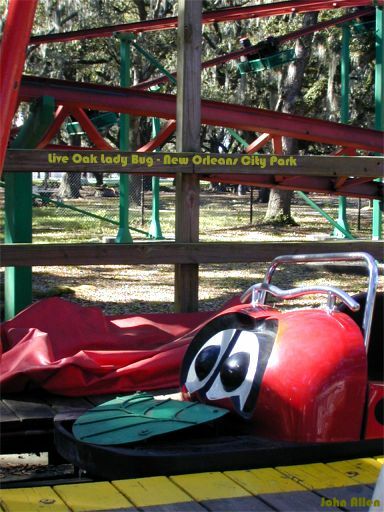 The rides at City Park are adjacent to Story Book Land, and have been restored by Friends of City Park. 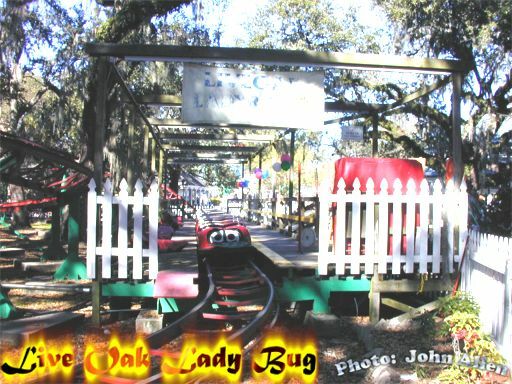 Photos of the Live Oak Lady Bug coaster were taken after Christmas 2001. 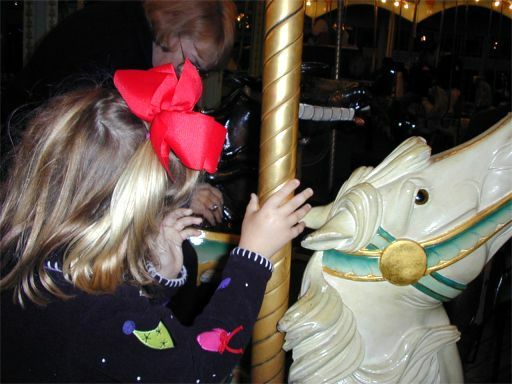 Rides include a ferris wheel, a restored Carousel, Tilt-a-Whirl, Lady Bug coaster, a train, and others. 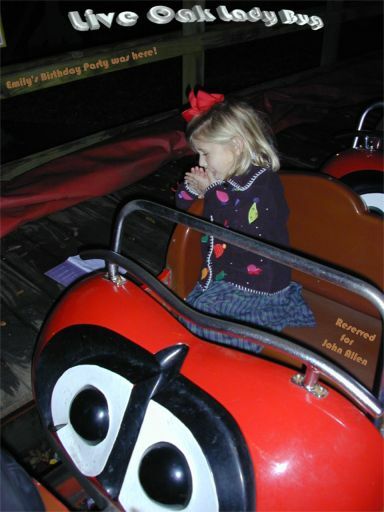 There are 17 comparable kids coasters of this variety throughout the world, several with lady bug trains, including ones in New York and in the Netherlands. 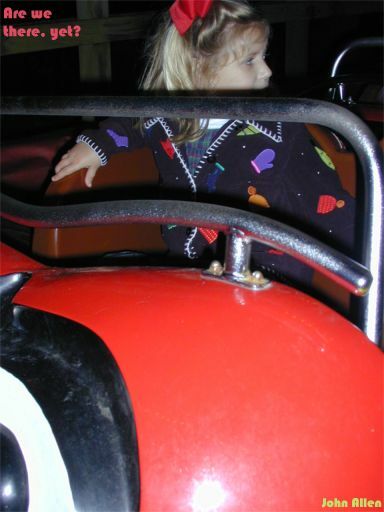 See the train of the Achtabaan coaster, in the Netherlands. 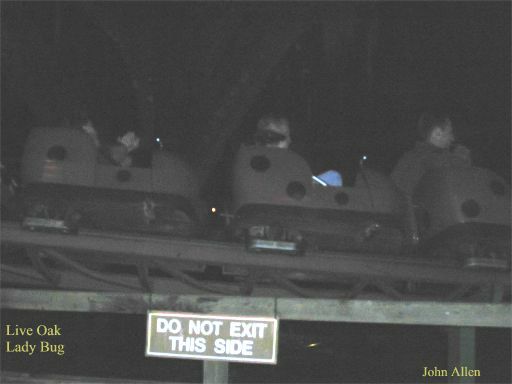 See similar coaster train at Adventureland in Farmingdale, NY.